Though Marvel’s slogan for Blank Panther is “Long Live the King,” in many ways it’s the women who run Wakanda. 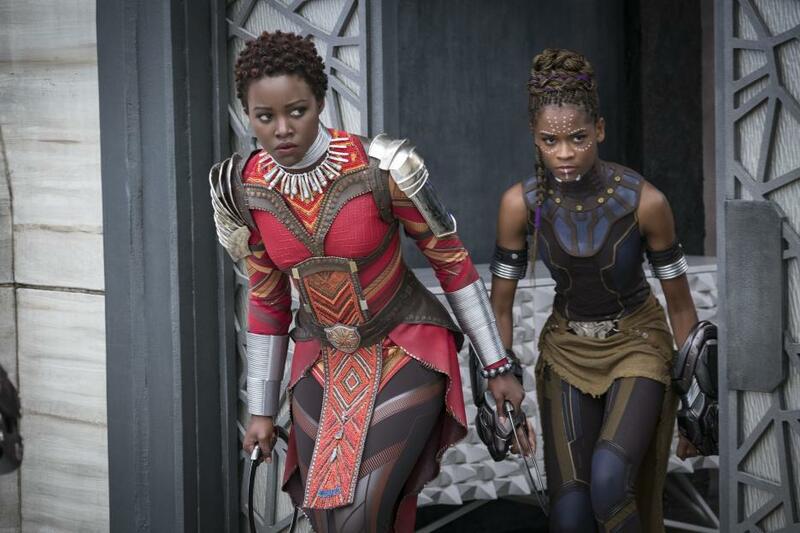 Whether it’s Ramonda, played by Angela Bassett, Black Panther’s mother and Queen of Wakanda; Okoye, played by Danai Gurira, who leads the Dora Milaje, Wakanda’s elite band of female warriors; or Nakia, played by Lupita Nyong’o, a Wakandan spy, the women of Wakanda are fully-realized leaders who drive the action of the film just as much if not more than the male characters. At the recent Black Panther press conference in Los Angeles, Angela Bassett spoke about what it was like watching such a strong female cast on screen. Though all of the women in Black Panther are extraordinary in their own right, it’s Black Panther’s younger sister, Shuri (played by breakout star Letitia Wright) who has been dubbed “the smartest person in the world.” It’s not lost on the cast how groundbreaking it is to have a young Black woman labeled the “smartest” in a universe that includes geniuses like Tony Stark and Bruce Banner. Letitia spoke about how she loves how the male characters in the film support the women and help them realize their full potential. While the male characters in the movie, like T’Challa, definitely play an important role in supporting the female characters, the film also definitely passes the Bechdel test, and Lupita Nyong’o added that the women in the film also empower each other. “What I love about the way this film represents women, is that each and every one of us is an individual, unique," she said. "We all have our own sense of power and our own agency. We hold our own space without being pitted against each other. I think that's a very, very powerful message to send to children, both male and female, this idea. I think oftentimes in movies, we fall into that trap where women, there's very few of us, and then, we are against each other, there's a competitive spirit and stuff like that. You can see this whole group of strong, powerful ladies — and so many more! — when Black Panther hits theaters on February 16th.